BridgePark and Beyond: The bold plan to reconnect downtown, Manchester and the riverfront | Cover Story | Style Weekly - Richmond, VA local news, arts, and events. Ted Elmore, the executive director of the BridgePark Foundation, stands on the western edge of the Manchester Bridge. His organization seeks to transform the 1972 structure into the hub of an extended parkway and link the span to Brown’s Island at the river’s edge, at right of the bridge. Ted Elmore, the director of the BridgePark Foundation, poses this question to 50 mostly South Side residents. They have gathered at the Plant Zero event space in Manchester on East Third Street on the Tuesday evening before Thanksgiving. He answers rhetorically: "Never bury the lead." Place the meat of the message at the top of the story. Following his own advice, he flashes a dazzling and National Geographic-worthy photo onto two large projection screens. "This is the view," Elmore says. It's obvious he relishes the picture, despite having shown it numerous times at similar presentations. Tonight's gathering is like others he's held this fall to architects, arts leaders, planners, highway engineers, lay people and school children — to reveal, and receive public feedback on, an ambitious, some might say audacious, design for a linear park and greenway. It would physically link downtown with Manchester, and adjacent neighborhoods by re-purposing existing infrastructure as landscaped pedestrian ways and bicycle lanes. The projected photo captures the James River, glistening in the golden light of a sunset. It was shot from the Manchester Bridge, an engineering behemoth with 10 traffic lanes that straddles the James River and Brown's Island. It connects Ninth Street in the financial district with Commerce Road in fast-redeveloping Manchester. The ever-evolving details of BridgePark are what Elmore, and a tight-knit group of advocates, have understatedly been pitching to strategically chosen audiences for the past three years. The plan calls for repurposing some of the Manchester Bridge's western traffic lanes. This would make way for new pedestrian ways and bicycle paths. While the bridge would still carry heavy vehicles, it would also draw thousands of recreational users and become a pointedly "green" destination in itself. One has only to consider the popularity of the Capital Trail that runs through Shockoe Bottom to Jamestown, or the sedate and low-lying T. Tyler Porterfield Bridge, a bike and pedestrian span a few yards west of the Manchester Bridge, to imagine the possibilities of an outdoor amenity with a more extensive reach. Since its completion two years ago this month, the public's embrace of the Potterfield's shimmering metallic platform, set atop antique stone piers, has been sensational. "It is the most visited aspect of the James River Park System," says Nathan Burrell, who manages Richmond's parks and recreational programs on the South Side. 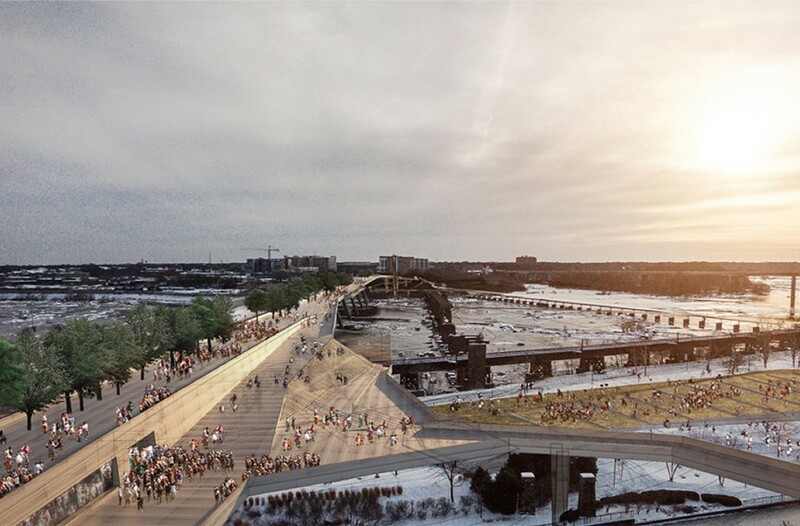 The span connects Brown's Island, on the north, with the James River Park, the historic Springhill neighborhood, and the pedestrian-accessible flood wall on the south bank. Ted Elmore, director of the BridgePark, describes his foundation’s vision to trim the number of vehicular lanes on the Manchester Bridge, which connects downtown and Manchester. The gathering took place Gateway Plaza lobby in October. A portion of the span would be converted to a park, with greenway extensions connecting to other parts of the city. For eight years, Elmore was a partner in the Richmond-based Hunton Andrews Kurth law firm. But the vision for BridgePark is grander. It calls for creating an outdoor amenity that is set at the city grid's topographical grade, not just above the water level, and therefore would connect directly with most of downtown's and Manchester's fabric. As the plan has slowly crystallized in ambition, scale and reach since its gestation five years ago, it now envisions a reconfigured Manchester Bridge as just the centerpiece of a more connective, 2-mile urban greenway that would wiggle and waggle, fingerlike, beyond the immediate environs of the James. The linear park would touch and enhance dozens of diverse inner city neighborhoods. "It is a way of engaging the community," says Vaughn Garland as the Plant Zero presentation gets underway. He is a Woodland Heights resident, art curator and a past chairman of the city's Public Art Commission. He also has volunteered with the BridgePark organization since its inception: "I remember when people wouldn't go to Manchester," he says, "This whole idea brings Richmond to the south and opens things up." The plan calls for reaching even more neighborhoods. In addition to linking both sides of the river at city-grid level, a key feature of the design would occur at the north end of the Manchester Bridge. Here, the bridge span hovers the equivalent of five to seven stories above Brown's Island, a highly successful event venue and public park. The trouble is, the island is difficult to reach. Therefore, one of BridgePark's boldest ideas is to build a broad, unifying plaza atop the north end of the Manchester Bridge. It would absorb some current traffic lanes on the western portion of the bridge with new construction extending the terrace outward. From this sizeable plaza, an M.C. Escher-like series of ramps and platforms would guide park-goers down to Brown's Island, all at inclines that meet requirements of the Americans with Disabilities Act. Voila, the extended downtown grid and the riverfront would be conjoined for the first time in more than a century. 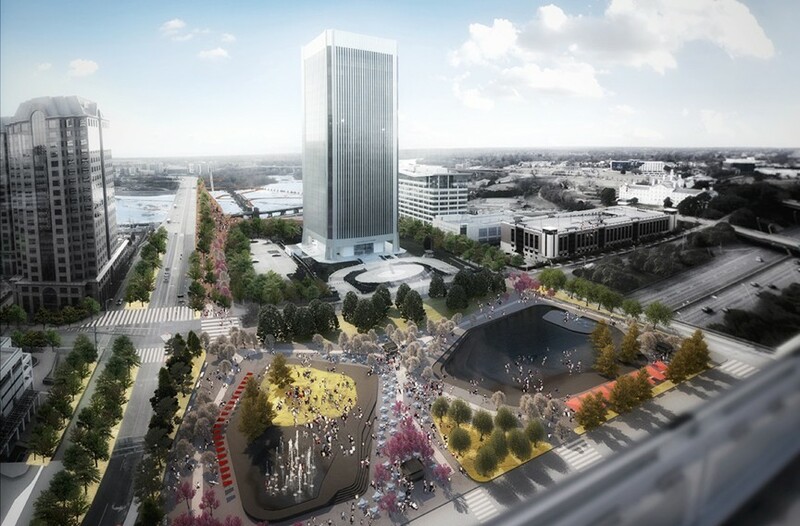 A rendering looks southwest from Canal Street, by Spatial Affairs Bureau, an architecture and planning firm with offices in London, Los Angeles and Richmond. 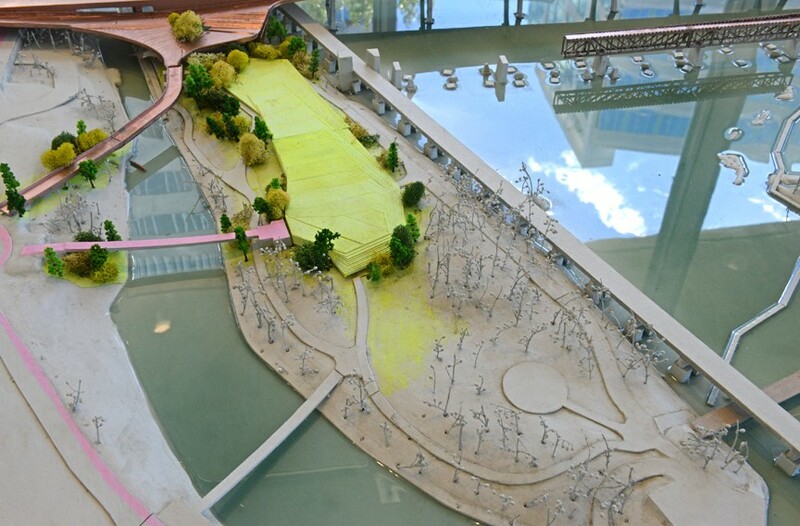 The plans show how the Manchester Bridge, at upper left, would be reconfigured and tie into green space near the Federal Reserve Bank, the office tower in the center, and Kanawha Plaza, in the foreground. 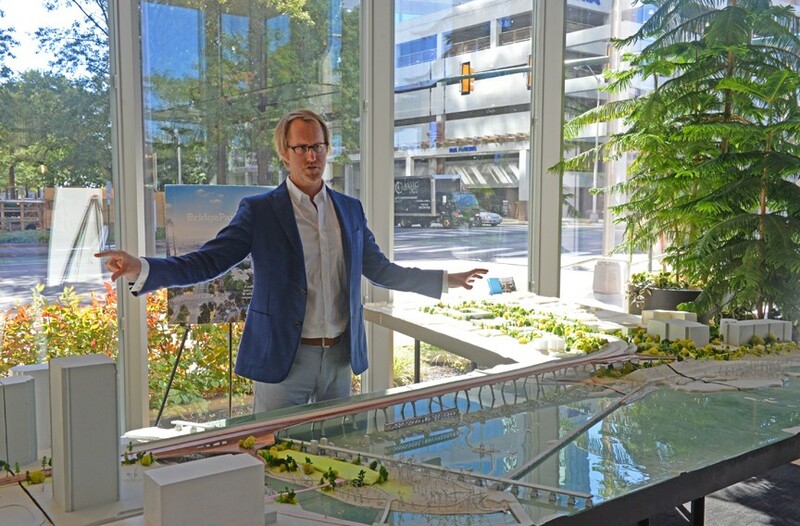 This autumn, Elmore's numerous campaignlike presentations have usually included an impressive visual centerpiece, a 25-foot long, scale model of the proposed park and how it intersects with city streets and the riverfront. The timing of his friend-making campaign comes at an important juncture. BridgePark advocates hope the concept can be adopted as an amendment to the city's riverfront development plan which is now being devised. If that occurs, it would open up critical opportunities for public and private financial support. And on another front, discussion is intensifying over another major downtown redevelopment plan north of the river. It is the private, nonprofit Navy Hill District Corp.'s $1.4 billion proposal for reconfiguring 10 blocks of downtown. The plan includes replacing the Richmond Coliseum with a larger arena, building a major hotel, restoring the historic Blues Armory and injecting hundreds of apartment units into a the area bounded by East Marshall, East Leigh, North Fifth and North 10th streets. As the new year approaches, business, political and civic leaders are performing a delicate minuet as they seek consensus on the scope and financing arrangements for the project — or whether it should move forward at all. Schematics of the NH District plan have thus far shown little land dedicated for parks or green space, despite the proposed density of residential and hotel components. Coincidentally, the BridgePark plan envisions specific landscaped amenities within the footprint of the development area. "We are proposing a Justice Square that incorporates the John Marshall House," Elmore tells his audience, shifting gears from the riverfront to a historic tourist destination that falls within the NH District. Embracing the fact that the Manchester Bridge and Ninth Street share the same axis, the BridgePark plan calls for calming Ninth Street as it extends uphill to East Leigh Street where it ends. This would be accomplished by widening city sidewalks and adding bike lanes and landscaping along Ninth as it skirts Capitol Square, passes St. Paul's Episcopal Church, and cuts between City Hall and the Library of Virginia. 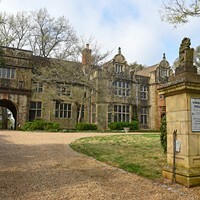 At East Marshall, Elmore says, BridgePark could embrace the already landscaped grounds of the 18th century John Marshall house, once the home of the great chief justice of United States. The Marshall property includes an unlovely, brick-paved plaza that connects with the John Marshall Courts Building. This would be re-landscaped. "Think about the history that runs along Ninth Street, we forget about how blessed we are," Elmore reminds his audience, referring to a number of historical sites. "John Marshall was an extraordinary American. He understood early on the challenges and legal issues of states' rights versus the federal government." If he detours slightly when mentioning Marshall's name, it's understandable. Elmore, 45, who grew up in Richmond, holds both undergraduate and law degrees from the University of Virginia. For 15 years, he was a corporate attorney at a leading Richmond law firm, now known as Hunton Andrews Kurth, until being physically sidelined for a time by a mountain biking accident. The career switch from law to environmental and urban design advocacy as the sole staff member and human face of BridgePark, seems to have been seamless. 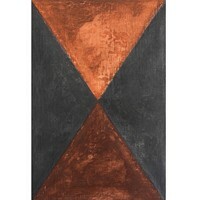 He brought to his new job an already savvy eye for collecting contemporary art and good urban design. As the point man for BridgePark, Elmore is bright, an intent listener and a quick study. Importantly, he exudes a sense of inclusion and genuine hospitality. At the Plant Zero gathering, his audience sits at round-top tables covered with white table cloths and sip complimentary hot soup, including a vegan option. Members sip ice water and nosh on hard-crust bread and oversized cookies. Among the South Side residents at the Plant Zero meeting are neighborhood civic leader David Bass and real estate developer Robin Miller, a prime mover in rebuilding Manchester. Says Miller: "I think it's a wonderful idea and certainly hope it succeeds." 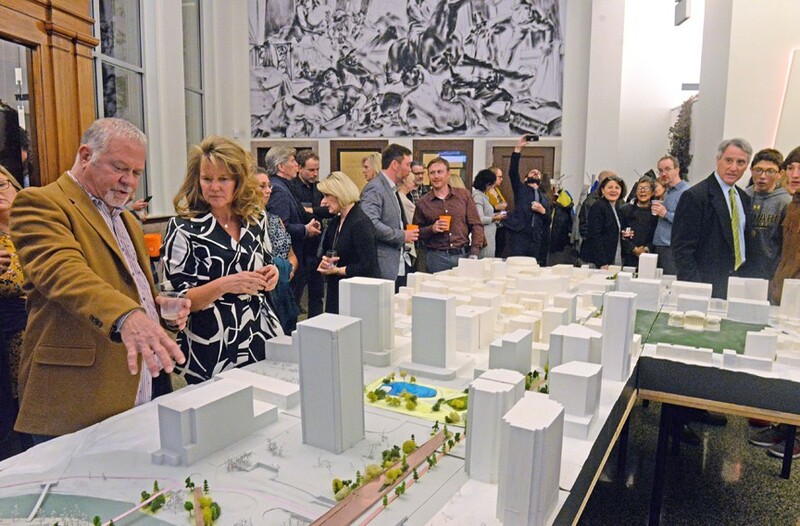 Architects, planners and civic leaders examine the 25-foot-long scale model of BridgePark in the Mobelux Building lobby Nov. 8. Plans were displayed in conjunction with the annual meeting of the Virginia Society of the American Institute of Architects. Also attending is a handful of students who participate in BridgePark's ongoing educational collaboration with Art 180. While it is one of a number of community organizations and programs with which BridgePark has aligned, the Jackson Ward-based organization seeks to enrich the lives of challenged youngsters through cultural programs. Its founder and executive director, Marlene Paul, sits nearby. "Ted has been a friend of Art 180," she says of Elmore. "Participating in previous BridgePark discussions and planning has helped our young people know they can affect community change. 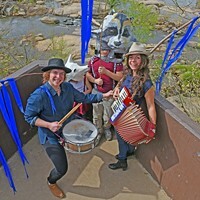 And importantly, they bring a broader cross-section of Richmond to the process." Bridgepark has engaged some 1,500 youngsters in its various programs. An animated Chris Oliver, 15, a student at Thomas Jefferson High School who participates in Art 180 programs, joins the conversation. "When I first saw the plan I said, 'Why is this all about downtown? It's already nice and fancy, people already go there. Why not do something about places folks don't go? Like Fairfield and places with Section 8 housing.'" He is referring to his own environs in the East End." Elmore heard Oliver. BridgePark plans now show ways in which the greensward that emanates both north and south from the Manchester Bridge could be extended to embrace the city's often underserved neighborhoods. Specifically, to Oliver's point, it shows running east and west along Leigh Street toward Fairfield and Gilpin Court. Detail of east end of Brown’s Island. As the proceedings continue this evening, Chris Oliver and others have other questions for Elmore. Richmond BridgePark Foundation, a nonprofit, was born, like many a good idea, by some bright advertising minds. 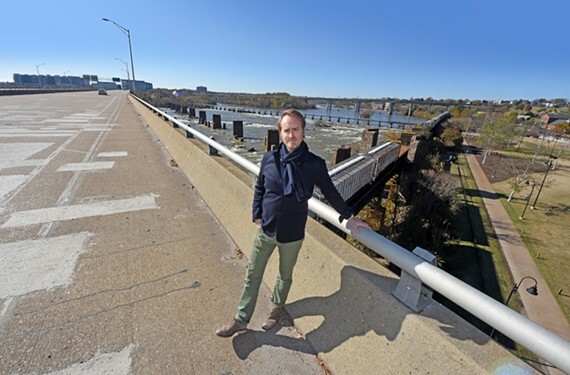 In 2012, Mike Hughes, president of the Martin Agency, an advertising and marketing powerhouse headquartered in Shockoe Slip, and Ella Kelley, a former New York ad executive, shared an idea: Why not repurpose the old Huguenot Bridge, then awaiting the wrecking ball upon completion of a new crossing, for pedestrians and bicycles? Their inspiration was New York's High Line. That linear park, two stories above West Side streets, incorporates abandoned elevated train tracks that once carried goods from Hudson River ships to warehouses in lower Manhattan. Now, the High Line melds brilliantly preserved industrial-era ruins, savvy landscaping, and sophisticated arts and entertainment programming. Locals love it and it's a tourist must-see. Hughes and Kelley were undeterred when they realized the old Huguenot Bridge was a lost cause. They shifted their sights to the evocative, 1838 stone pilings of a former Richmond-Petersburg Railroad Bridge which cross the James, not far from the Martin offices. Why not re-deck those railroad piers and, like the High Line, plant the span with indigenous flora? Five years ago this month, however, Hughes and Kelley each passed away. Despite the loss of those guiding lights, the seeds for BridgePark had been planted — and sprouted. 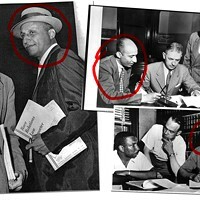 Ted Elmore, already among the project's kitchen cabinet, took up the torch. In 2014, he and a small, focused board organized Richmond BridgePark Foundation Inc. Soon after, the Timmons Group engineering firm, and Spatial Affairs Bureau, an international architecture firm with a Richmond office, came on board. Together they culled months worth and reams of research and findings from the nascent organization's community interactions. From this, they created a fresh take on the project. The centerpiece of the BridgePark plan would be a reconfigured Manchester Bridge, shown looking south toward Manchester. New construction would extend the bridge to the west to create a plaza. An elaborate series of ramps would connect the bridge with Brown’s Island, a distance the equivalent to five stories. Peter Culley, a principal with Spatial Affairs told his client, "I think this must be bigger." So, in 2015 BridgePark gave up the idea of rebuilding the old railroad bridge. Manchester Bridge became its focus. "You can't engage with the entire city down on the river," Culley stressed. "Richmond's topography puts the river quite a distance from the actual urban grid of the city. There's as much as a five-story distance between the bridge platform and Brown's Island. The relationship of the Thames to London, or the Seine to Paris, is nothing like that. 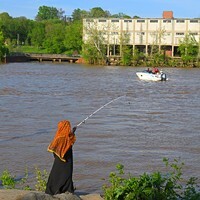 That is why the relationship between Richmond to the James River has always been so tenuous. All we hope to do is bring the city down into it." "Moving [BridgePark] to the Manchester Bridge answers many problems." 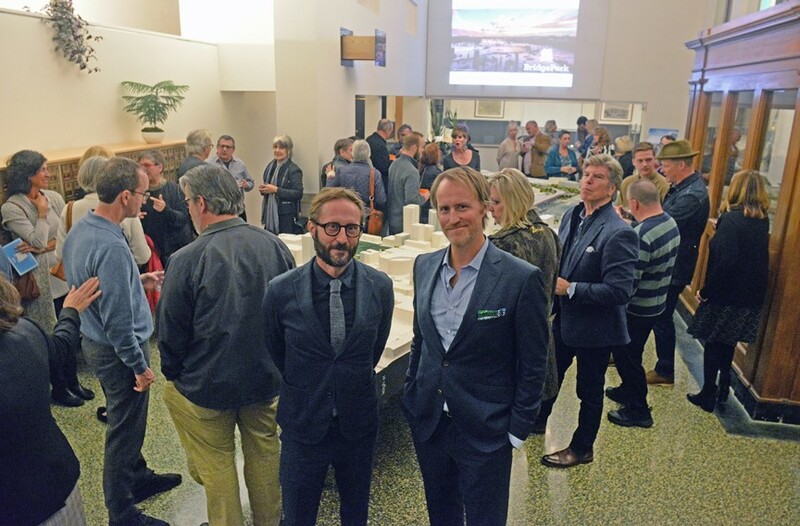 Peter Culley, founder and principal of Spatial Affairs Bureau architecture and planning firm, and Ted Elmore, BridgePark director, at Mobelux with the project model prior to their presentation to architects and planners Nov. 8. And by shifting the location, views of the historically significant old bridge were preserved, and the prospect of yet another man-made extension across the river was eliminated. The new vision also complemented the Potterfield Bridge, then under construction. Meanwhile, Kanawha Plaza, a financial district park bounded by Canal, Byrd Ninth and Seventh streets, was being renovated, construction of the Gateway Plaza tower was underway, and the Dominion Energy building was breaking ground. These projects brought greater attention to the north end of the Manchester Bridge. Of course, in Manchester itself, redevelopment was in high gear. Architect Peter Culley, 47, a founding principal of Spatial Affairs Bureau, pushed the BridgePark gang to become more ambitious. 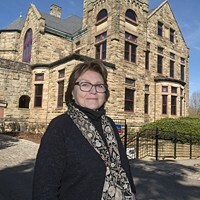 An Englishman who grew up in Wimbledon, and graduate of the University of Liverpool, Culley first came to the United States in 1993 for an architectural design exchange at the University of Washington in Seattle. Upon his own arrival he was immediately captivated by the American West and the heft of its architectonic infrastructure. "I'm an English snob," he says, "I wasn't expecting the epic landscapes like one finds in Seattle, Los Angeles and Las Vegas." He was also smitten with the Hoover Dam: "The detailing is uncompromising." A few years later he made his visit foray to New York where he was equally inspired by its structures. In the early 2000s, he became deeply acquainted with Richmond when he was stationed here as the on-site architect during construction of the sleek Virginia Museum of Fine Arts' McGlothlin Wing. Its architect was a London-based firm, Rick Mather Associates. Today, he is peripatetic since Spatial Affairs has offices in Los Angles, London and Richmond's Scott's Addition. What Culley has brought is a sophisticated, outsider's eye to the project. Sometimes it takes a come-here to point out the obvious. "Why do you need a L.A. freeway-scaled street at the entrance to downtown?" he asks, referring to the 10 traffic lanes that converge on downtown from the Manchester Bridge. "Richmond is moving in the right direction and you don't need this as an entry point". "We want to keep it super simple, this doesn't take anything down, it adds another layer on top" he says of BridgePark, "We don't want to do too much because the river is the focus." Upon finishing his remarks to his Plant Zero audience, Ted Elmore asks for questions and comments. Young Chris Oliver reiterates his point that outlying, economically depressed neighborhoods need to be kept in BridgePark's sights. One young woman has a practical concern. Who, or what entities, will physically maintain the extensive canopy of trees that are essential the vision of BridgePark? And a man asks the questions on everyone's mind: "What is the time table and how much will it cost?" "We don't have a definite time line, it will be done in phases," says Elmore. "It will be done in incrementally in five, 10 and 25 years." Getting BridgePark included in the riverfront plan, he says, is an immediate and important goal.